Preparation for your Blasting and Painting processes takes a tremendous amount of time. Most companies use duct tape or a similar product applying multiple layers, spending 75-80% of their time masking and 20-25% of their time blasting and painting. Then spend another block of time cleaning up after removal due to residue left behind. 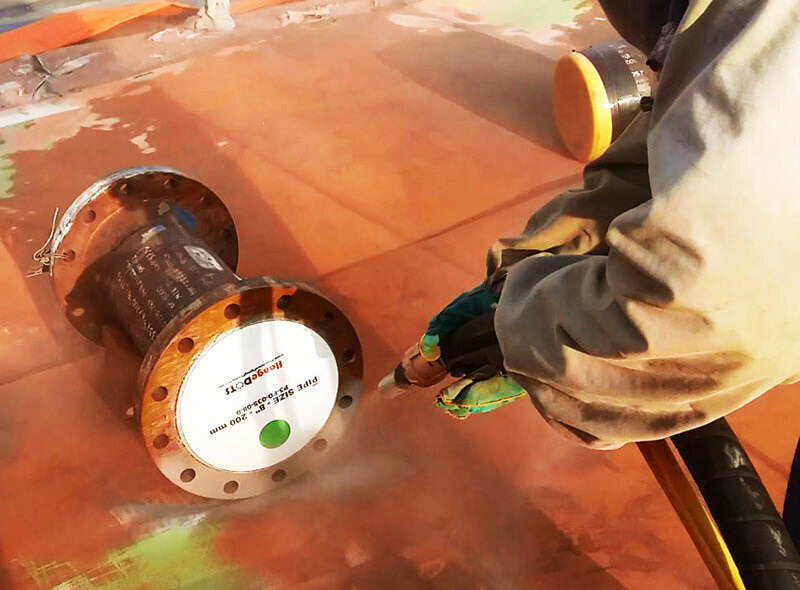 Let Precision Piping Products (P3) show you how to cut you’re masking time by 75-85% reducing your masking labor but more importantly increasing the amount of items you get to your blast and paint team each day by up to 400% using our product flangeDOTS®. Increase your profits when you do more with less!!! Not to mention you have to trim duct tape with a blade and it promotes corrosion. flangeDOTS® cut to the proper size will help to prevent corrosion. flangeDOTS® pay for themselves multiple times in savings, and can help you be more productive in your blasting and coating processes. Call us today for additional information and pricing.